All About The Mediterranean Diet: Often people associate the word ‘Diet’ with deprivation and weight loss. But in reality the word diet describes our daily intake of food. Not all diets are meant to shed down weight. Diet holds a major place in the treatment of all health ailments ranging from mild fever to serious terminal diseases. In fact a healthy balanced diet is the key to long life. When we think of the word Mediterranean, the popular foods like pizza, pasta, hummus, pita and lasagne pops up in our mind. 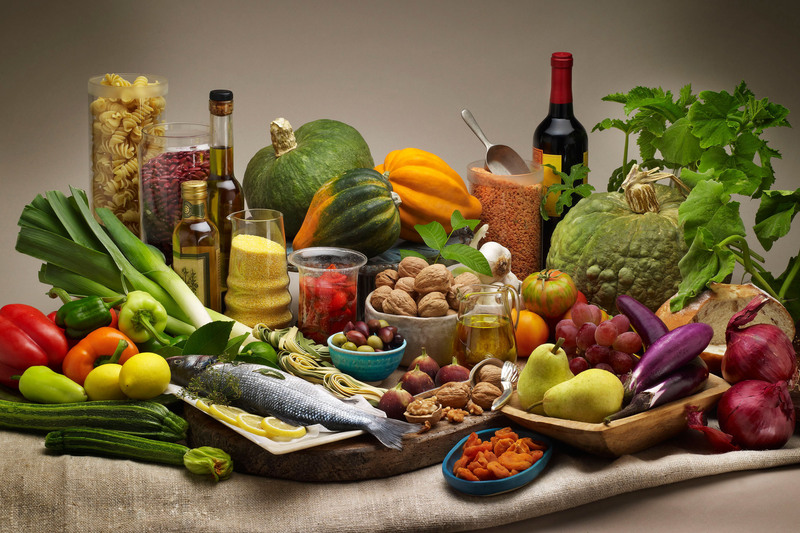 But the Mediterranean diet is much more than just these. A true Mediterranean diet is mainly based on seasonal fruits and vegetables, seafood, olive oil and whole grains prepared in Mediterranean style. Over the years this diet has gained popularity for its numerous health benefits. Mediterranean diet represents a culture and a cuisine that has been followed for centuries and includes the use of traditional fruits, vegetables, beans, nuts, seafood, olive oil, dairy products like yogurt and cottage cheese, and a glass or two of red wine. It is considered as one of the healthy and inexpensive way of eating among the world cuisines. Making a switch from pepperoni and pasta to fish and avocados might be tough. However it’s a diet worth chasing as the wholesome goodness of the food helps fight against heart disease, certain cancer, diabetes and some cognitive disabilities. Another striking feature of this diet is that – it’s not about the foods allowed or avoided but to rely on the seasonal crop of fruit and vegetables, which in turns makes the diet nutritionally rich and also pocket friendly. So it’s just not about health but also budget. Healthy fats like walnuts, almonds, avocado, olive oil, etc. Anything fresh is obviously more healthy and wholesome in terms of taste and nutrients and also being seasonal makes it easily available, in plenty and in budget. So basically getting good nutrition without a heavy pocket pinch is anytime pleasantly acceptable. Mediterranean diet makes a good use of fresh produce in all its meal either raw and whole as salad, filling of sandwiches or as a side dish of a meal. It’s high time we change our choices of foods or specifically fat. Mediterranean cuisine traditionally involves the use of olive oil for cooking and salad dressings. Walnuts are used in salads. Both olive oil and walnuts are sources of good monounsaturated fats which is considered good for heart health. Avocados are also richly used in Mediterranean region. Avocado slice in a burger or avocado mash in sandwich instead of butter can be a healthier option anytime. Using whole wheat breads and cereals, brown rice, and whole wheat pasta in place of the refined varieties has become quite popular these days with all the advertisements and product marketing. It’s good to have the cereals whole as it readily gives fiber, minerals and vitamins which otherwise are lost in processing. Also try including ancient grains and seeds like quinoa, chia, amaranth, bulgar, and buckwheat as the Mediterraneans do as these are highly nutrient dense and adds variety and taste to the monotonous diet. Try supplementing meat with fish especially salmon, sardines and tuna which are great source of heart healthy omega-3 fatty acids. These fatty fish are quite common in Mediterranean menu. Greek yogurt is a staple in the Mediterranean diet which is enjoyed throughout the day be it breakfast, lunch or dinner. Low or non-fat diary like cottage cheese and yogurt provides good amount of calcium, potassium and hunger suppressing proteins. Minimum of three servings a day can be of great help for supplementing nutrients and variety in a day’s menu. Water should be the first choice of drink in any diet. But in Mediterranean diet, red wine finds a good place in their meal after water. Red wine is being studied for its role in heart health so you may enjoy red wine but in moderation. Remember that none of the foods described above are magical and if you are on a weight loss regimen then you need to be watchful about the portion size. Be choosy about the prepared, fried and highly processed foods. Any diet can be helpful when you are honest with the choosing of ingredients and its quantity. If you cheat on the quality and quantity of the food then you are fooling on your own health.